Daniel Radcliffe isn’t a wizard — he just played one in the “Harry Potter” movies. In fact, he played Harry Potter himself, the central figure in the saga. Before the first movie debuted in 2001, Radcliffe was a virtually unknown child actor, but as we all know, that changed seemingly overnight. The Harry Potter role not only came with a seven-figure payday for the then-12-year-old actor; it also vaulted him into the public spotlight. For the next decade, as the eight films based on the seven books hit theaters, there may not have been a more famous Millennial on the planet. Which meant the paparazzi were after him. If you’re a celebrity, that word needs no explanation. But just in case, the paparazzi are typically independent photographers who hope to capture pictures of celebrities during the more mundane parts of their lives — getting a coffee, walking the dog, grocery shopping, etc. These unauthorized photos, from the celebrity’s perspective, are intrusions on their otherwise-private lives. But to the gossip magazines and similar publications, these photos can drive readership and newsstand sales. 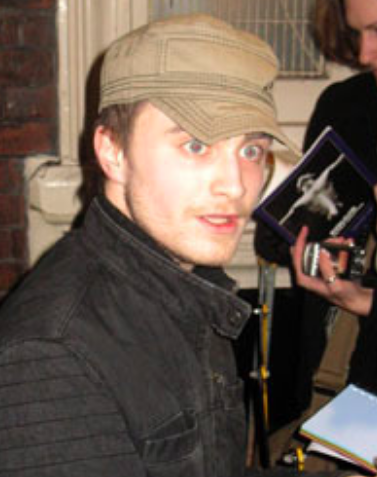 For example, here’s a paparazzi shot of Radcliffe. Eyes wide and unshaven — he’s caught off-guard, after all. Black jacket and a well-worn greenish/beige hat. The picture of Radcliffe could have been taken anywhere. And that was the point. Just not the one the paparazzi were after. I would wear the same outfit every single time with different T-shirts underneath but I would wear the same jacket and zip it up so they couldn’t see what I was wearing underneath, and the same hat. So they could take photos for six months but it would look like the same day. They became un-publishable, which was hilarious because there’s nothing better than seeing the paparazzi get really frustrated. Radcliffe, per Mental Floss, “kept up the habit for the entire run of the play,” changing outfits only slightly and rarely. (That said, he definitely didn’t wear the exact same hat and coat throughout; an image on the plays’ Wikipedia entry shows a different black coat and a newer hat.) Regardless, the ruse backfired in one case — also per CBS, the fashion press wasn’t in on the plan; instead, some thought he was making a fashion statement, dubbing the look his “stage door outfit.” But beyond that, it seems that his plan was effective — there aren’t a lot of candid shots of Radcliffe online from that time period. Bonus fact: The fourth book in the Harry Potter series, The Goblet of Fire, was published on July 8, 2000. A month earlier, it had no name — that title wasn’t introduced until June 27th, less than two weeks before the book published. The reason, apparently, is because author J.K. Rowling couldn’t decide what to name the book. Advanced marketing (see one ad, here) promoted the book as “Harry Potter and the Doomspell Tournament” through April, despite the fact that the final book doesn’t reference a “doomspell” anything. From the Archives: The Harry Potter Fan Who Was Worthy of Gryffindor: The secret character in the Goblet of Fire.